The former Indy Star site will be transformed into a $60 million complex with 335 apartments and 5,000 square feet of retail at the corner of Penn and New York. Supplemented by a new protected bike lane on Pennsylvania, hopefully the project helps to bring a commercial presence to Monument Mall. 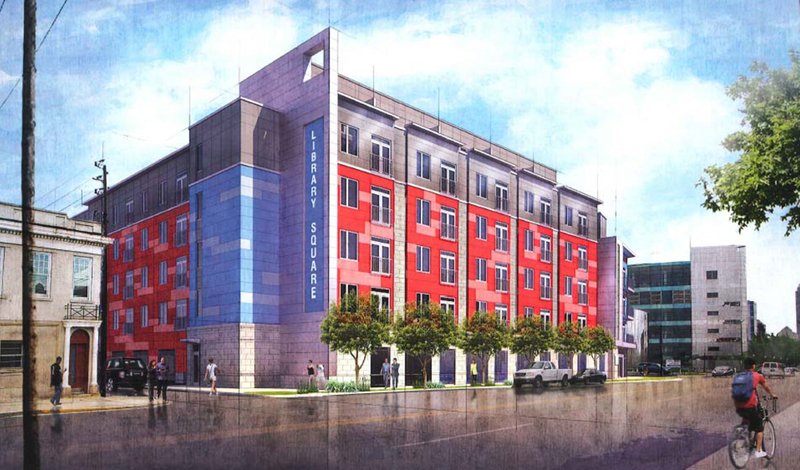 A proposal from Buckingham Cos. to build a five-story, 111-unit development at 923 N. Meridian St -the surface lot directly north of the Central Library. Plans call for demolishing the vacant, one-story commercial building that bounds East Sahm Street at the north end of the property. Buckingham hopes to start construction in the spring with completion expected in early 2018. With the newly constructed protected bike lane on Pennsylvania and projects such as Pulliam Square adding residents to Monument Mall, the stretches of Meridian and Penn through this sector of downtown seem primed to regain much lost vitality. A Rockville, Maryland-based company is floating plans for an 11-story hotel on a surface parking lot on South Meridian Street about four blocks south of Monument Circle. 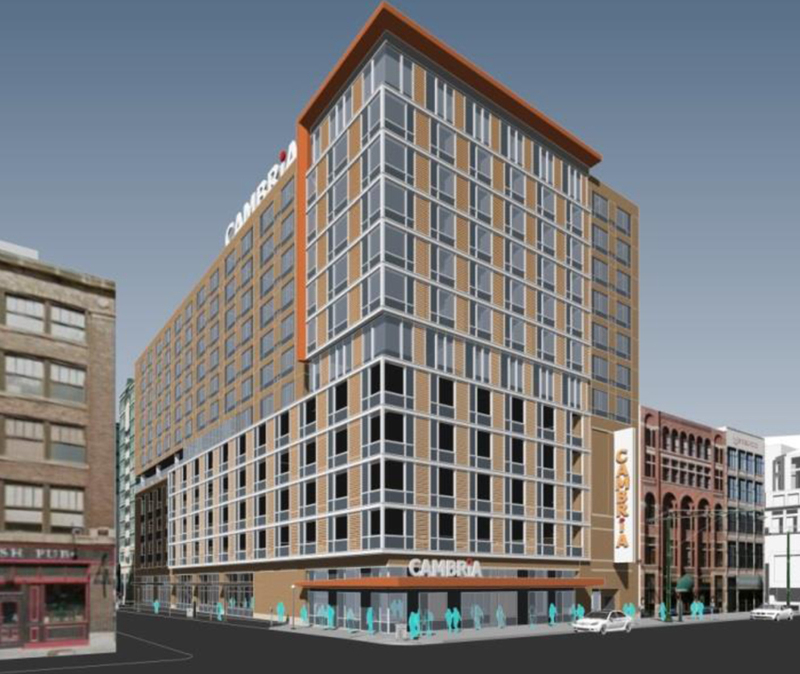 Plans call for a 193-room Cambria Hotel & Suites, Above the ground-level lobby area for the hotel, floors two through four will house a 164-space parking garage, according to the plans. The fifth floor will contain a fitness area and indoor pool, as well as an outdoor deck and 19 guestrooms. Remaining rooms will be located on floors six through 11.